Tran Van Tham served in the Navy during the war in Vietnam. Tham's most important duty was serving on a crew that secretly exported weapons from the north to the south. He was injured when he was captured in 1969. 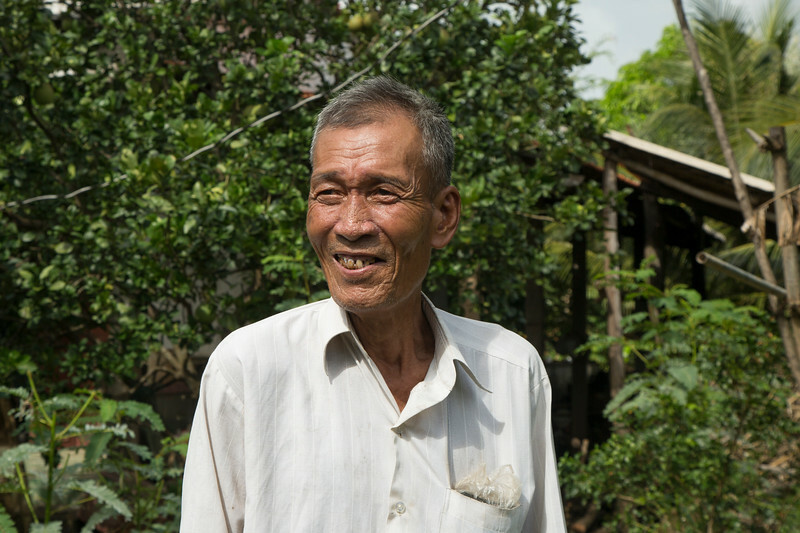 Tham spent almost three years in prison before he ws found and brought back to Ben Tre in 1972. When he was fitted with a Mercer prosthetic in 2015, he left behind the prosthetic he had worn for 43 years.